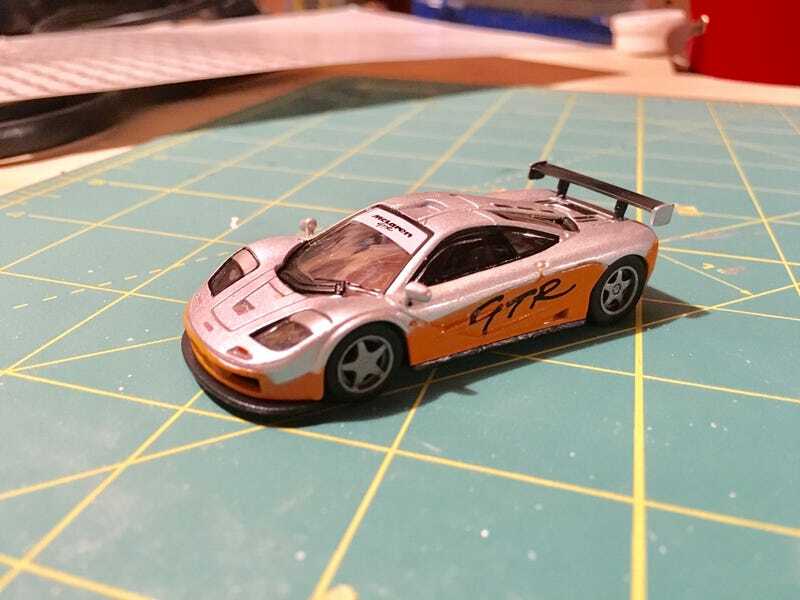 I’ve been working on these McLaren F1 GTRs for a little while and thought I’d post an update. I’m debating whether to add the 1995 Le Mans pre-quaifying decals to the silver/orange, and I have some detailing to do on the Harrods still. I also have an LM version in progress.